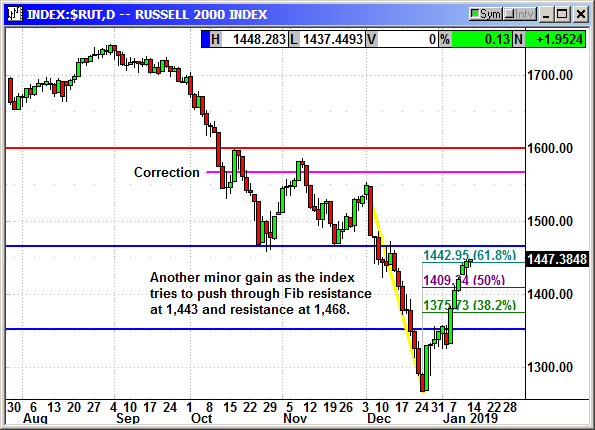 The Russell only gained 2 points but that increased the string of gains to 12 of 13 days. The index eased slightly over the 1,443 Fib retracement level but is still facing major resistance a 1,468. This string of gains is impressive and it is not indestructible. We are reaching a level of congestion from 1,468 to 1,600 and there will be some profit taking. I believe any dips should be bought so we will look at adding some new positions when that occurs. AMD's announced a bunch of new products at CES aimed at Intel and Nvidia. 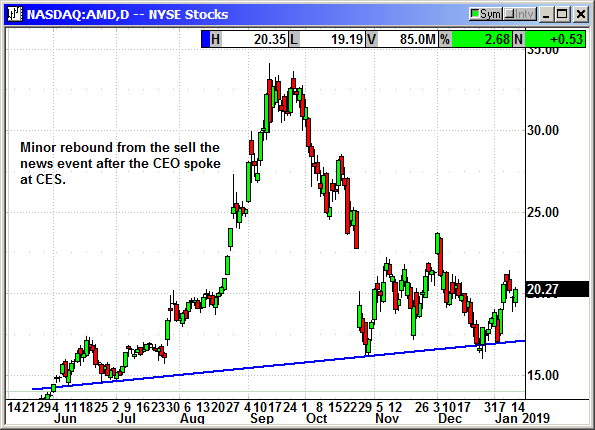 This previously ignored chipmaker is making waves and the long term outlook is improving daily. No specific news. 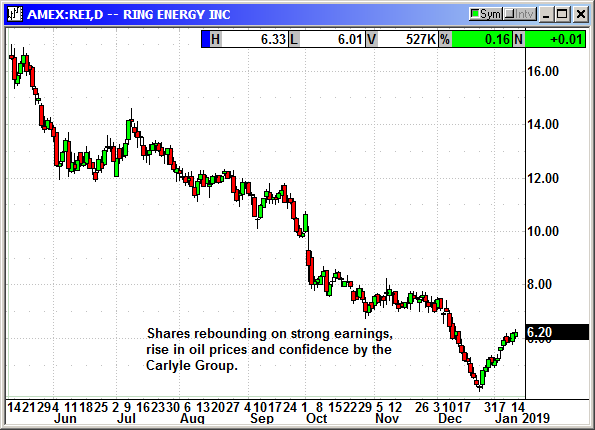 Shares rebounded thanks to the rise in oil prices. 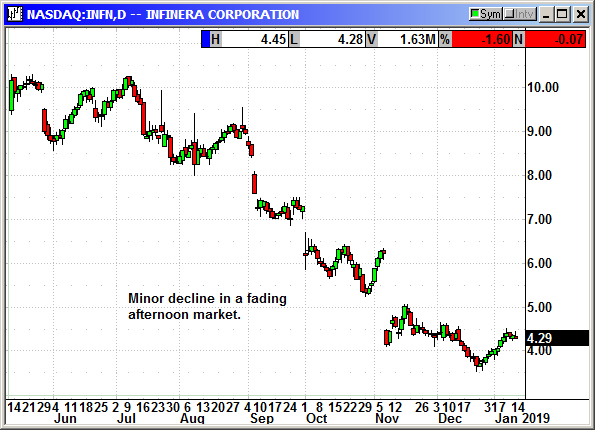 Big decline on expected futures decay over the weekend. With two consecutive days of market rebounds, the outlook for Monday is positive. 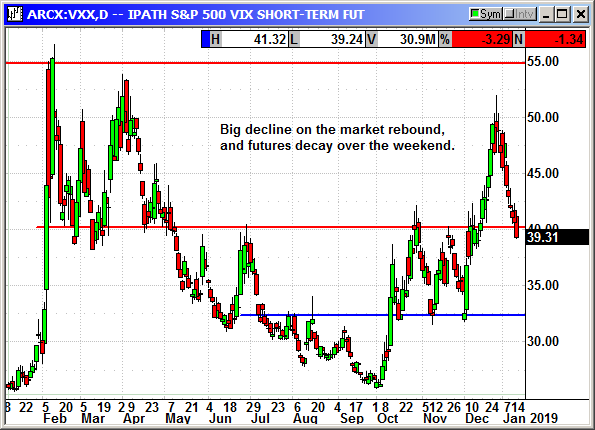 We just need the market to remain positive for another week without any major hiccups.